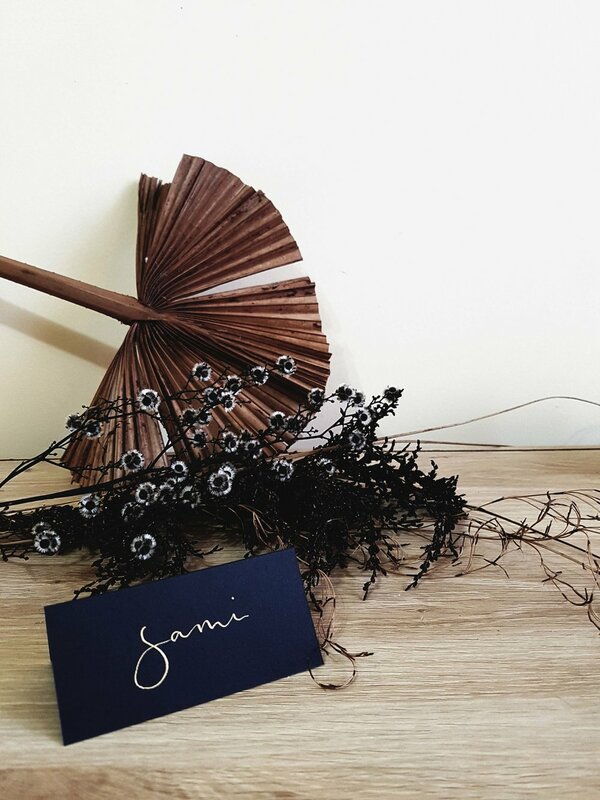 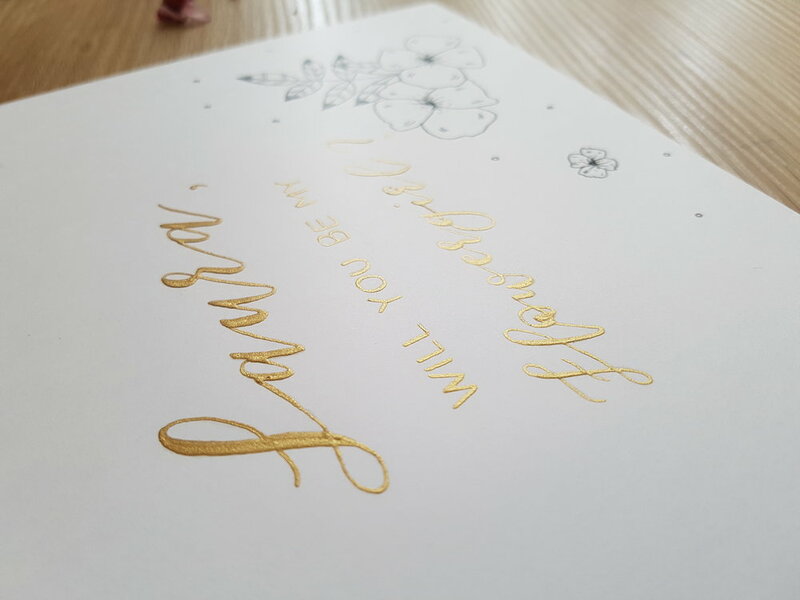 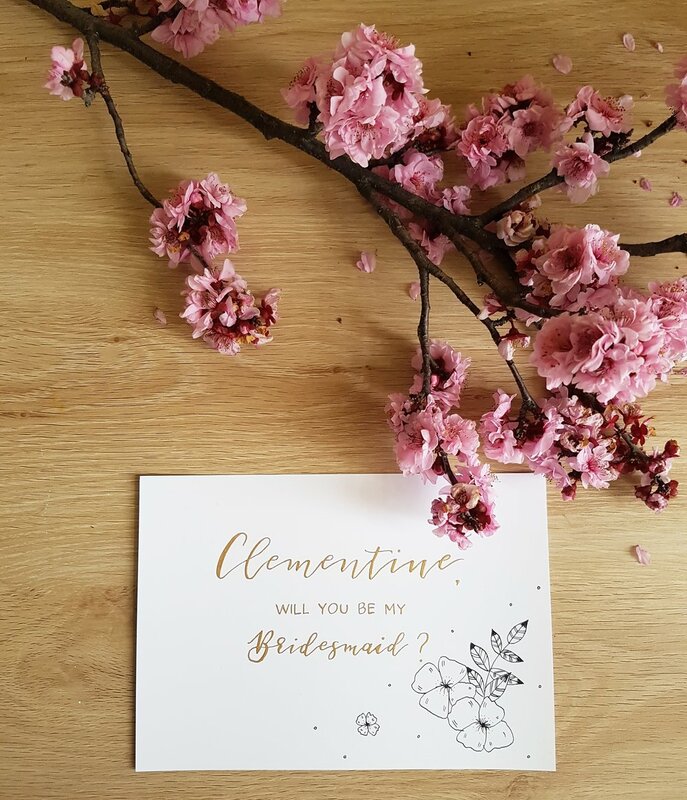 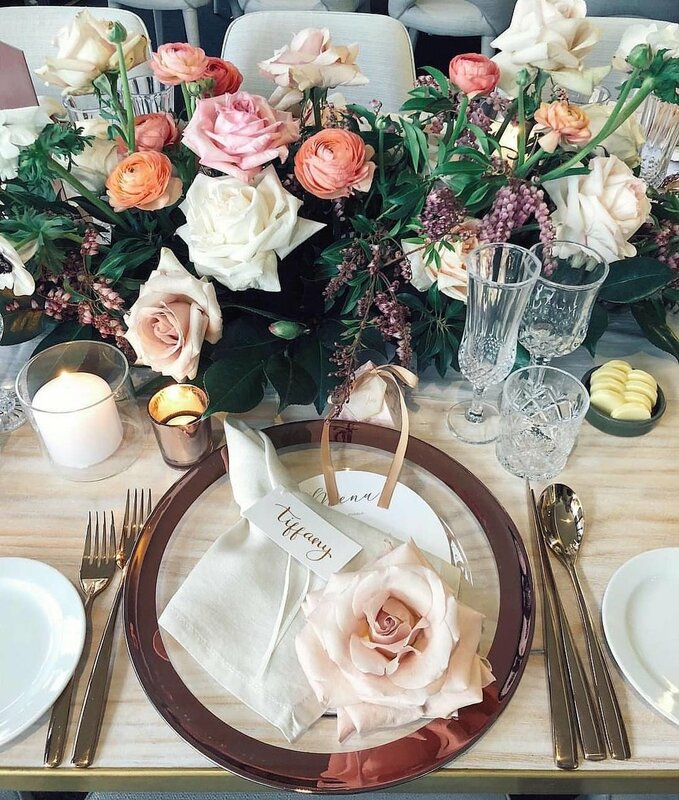 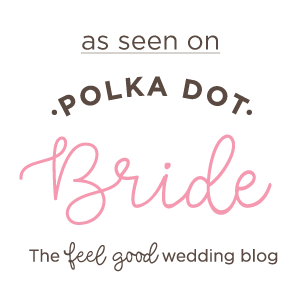 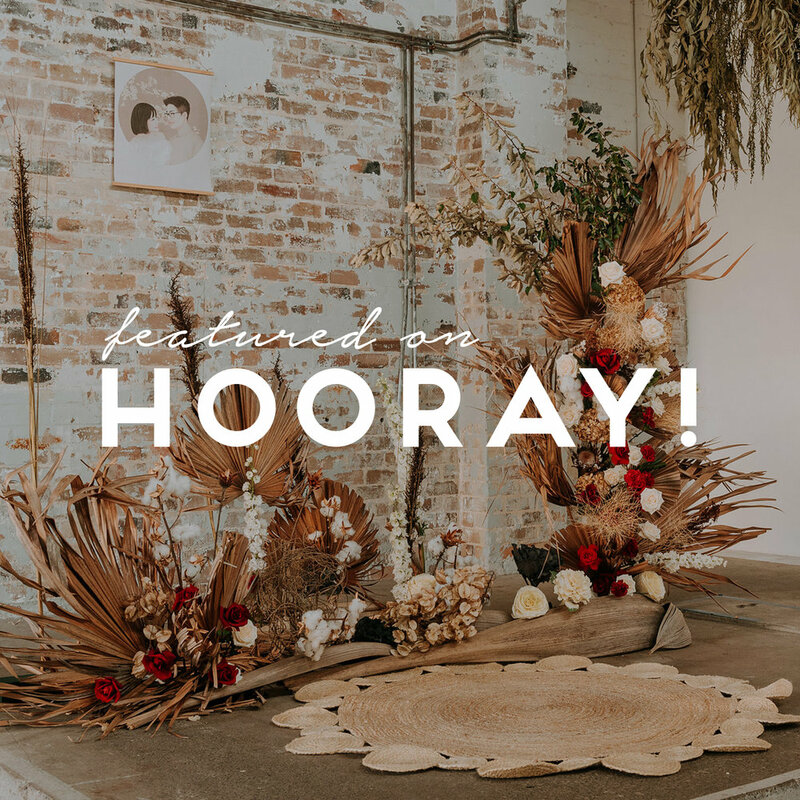 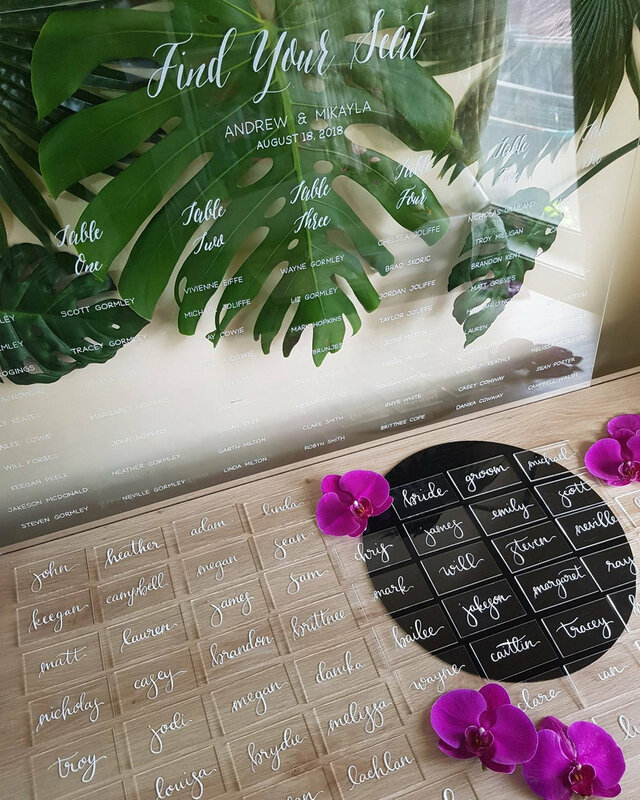 We specialise in modern calligraphy for weddings and special occasions, using premium materials and calligraphy inks to make our wedding place cards and name tags 😍 Want something non - traditional? 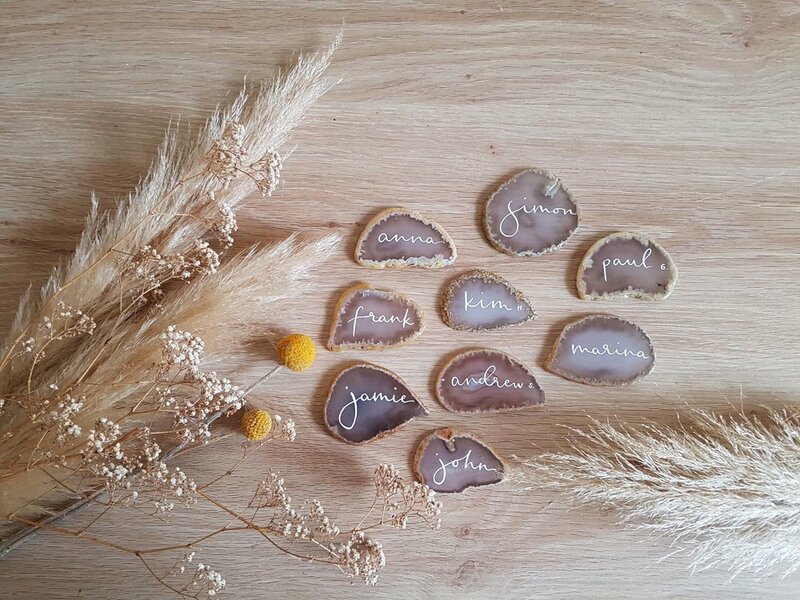 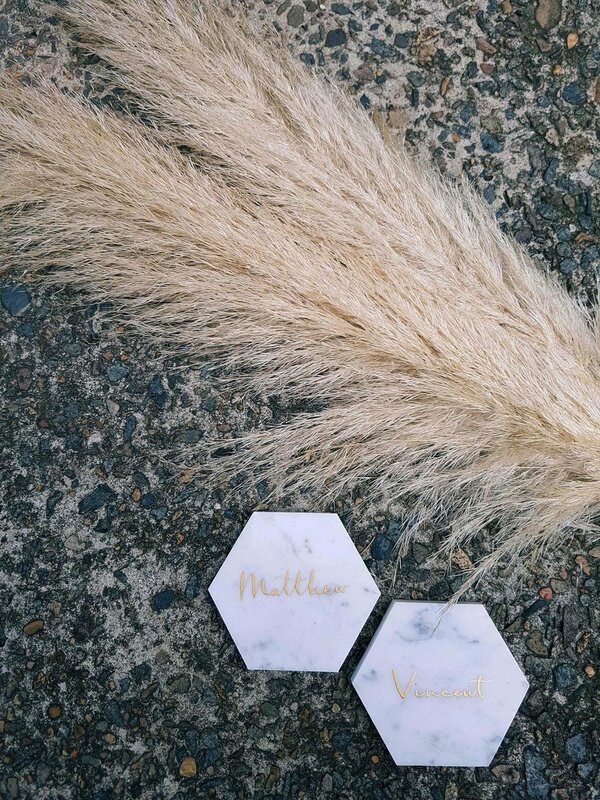 Check out our acrylic place settings or opt to have your guests' names hand lettered on our agate slices - looks pretty damn cool in gold ink! 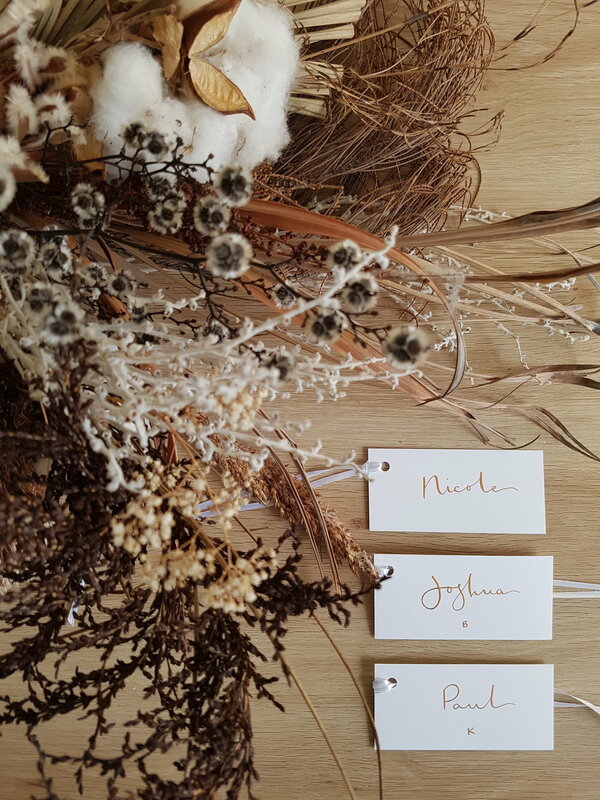 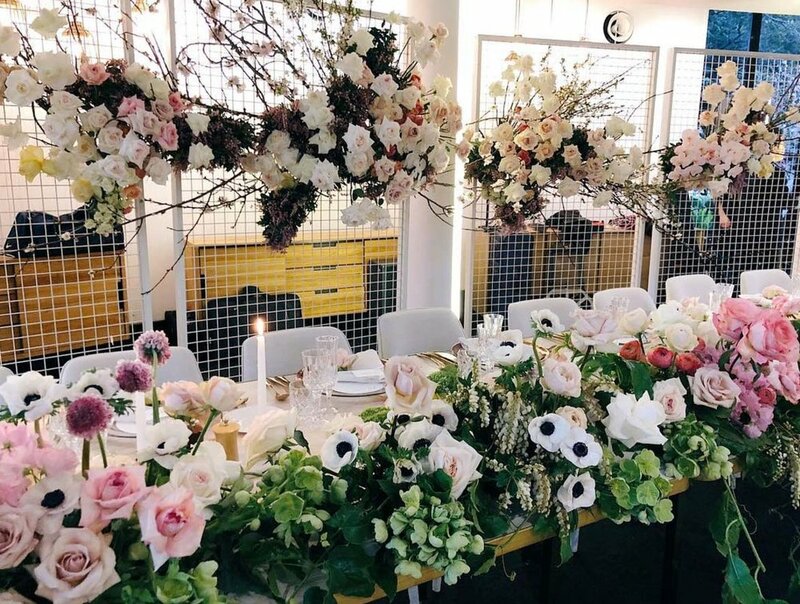 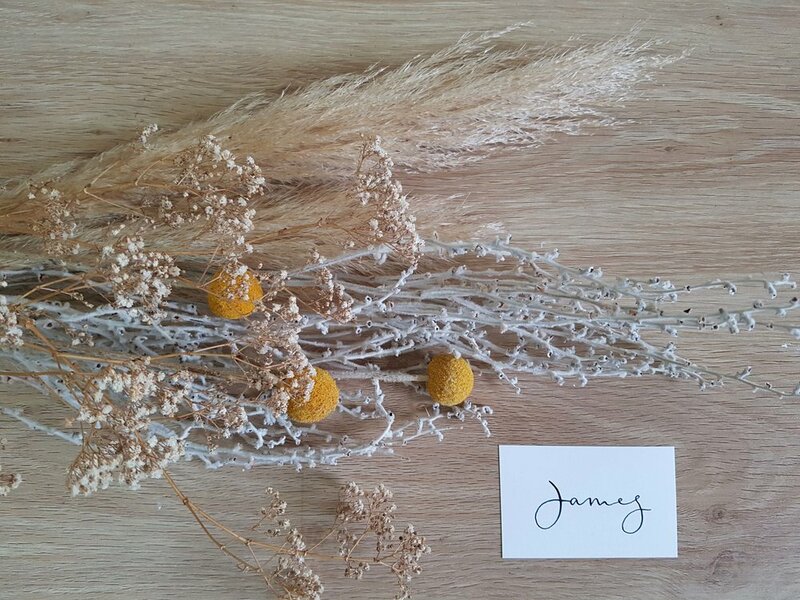 need a place card colour to match your wedding theme?